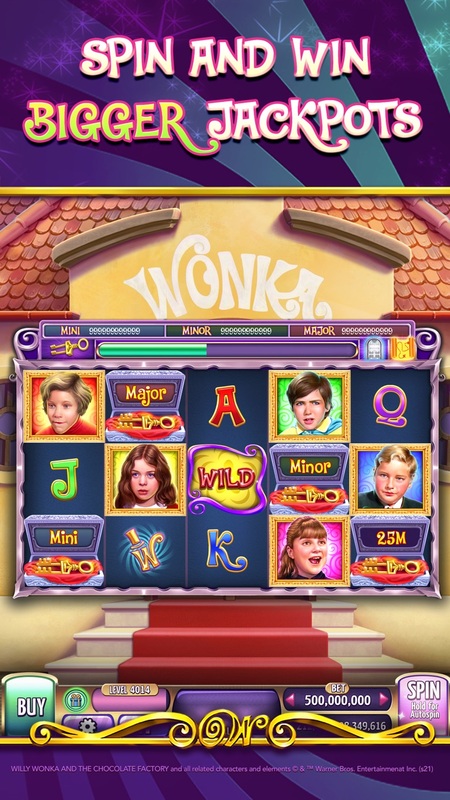 ﻿Willy Wonka is endeavoring to make his largest candy bar ever in the newest room from Willy Wonka Slots: ‘Tower of Chocolate’! Collect twelve mini-game symbols for a pick game and your chance at massive prizes! 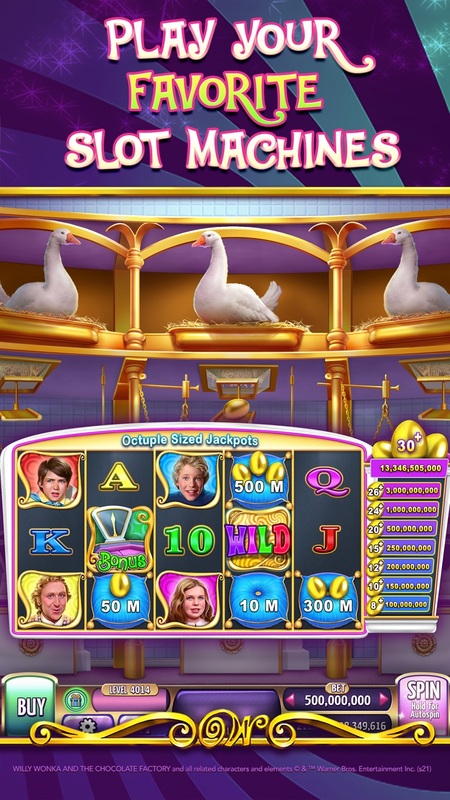 Land Free Spins symbols on three reels to get your Big Win on Free Spins! Go for the biggest win of them all by retriggering your free spins for even more fun!